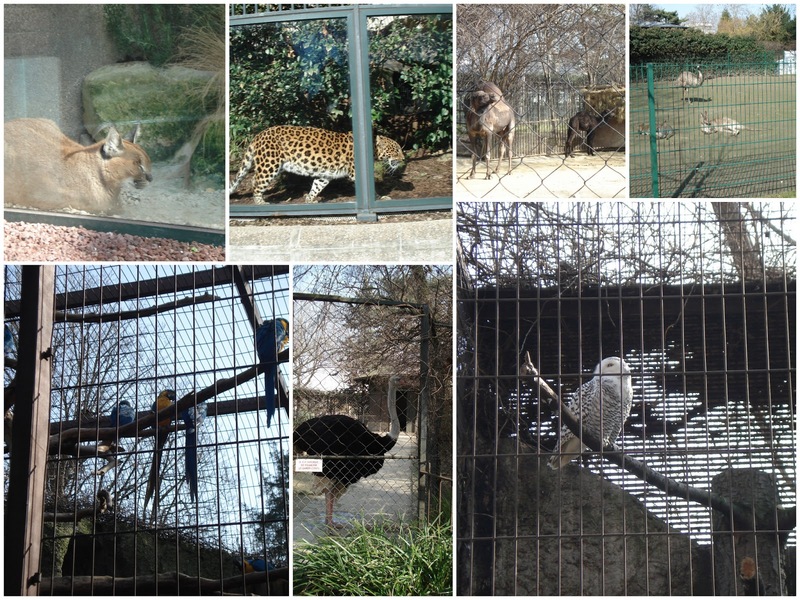 A small but cute zoo with a mix of exotic and familiar species. 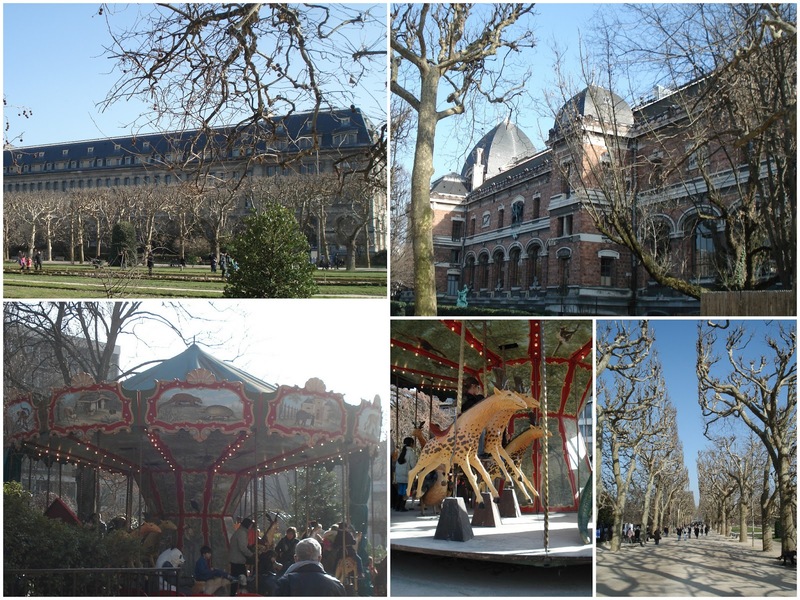 According to Wikipedia, this is the world's oldest "civil" zoo - i.e., it was founded by the French revolutionary government in 1793, which brought over the animals from the Versailles menagerie to this central Paris location. 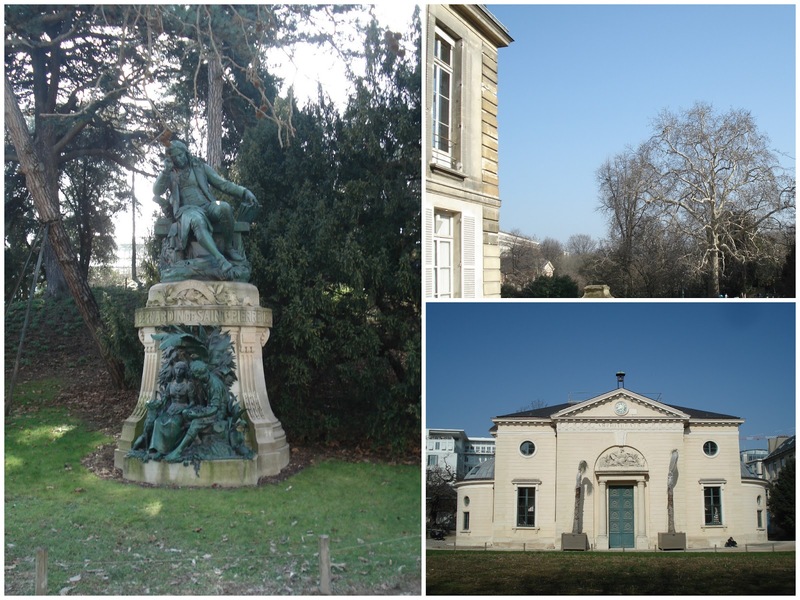 To get to the Menagerie, we walked over from Jussieu station and walked through the Jardin des Plantes' main gates. First stop: some gaurs and les bouquetins (a type of wild goat also known as the Alpine ibex - or capricorn). I had never consciously heard of the binturong, which looks like a cross between a little bear and little puma (and a bit like an outsized ferret). Apparently they're kept as pets in their native land... 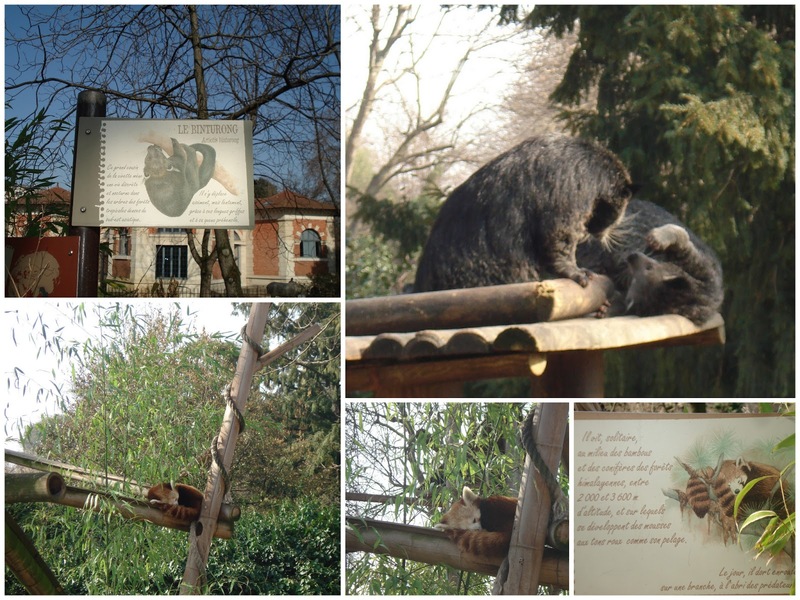 The binturongs were opposite the red pandas; both were in relatively open enclosures without fences. The red pandas were predictably adorable. Inside, T marvelled at the frogs, crabs, salamanders and other and lizardy creatures, while I said hello to the axolotls. 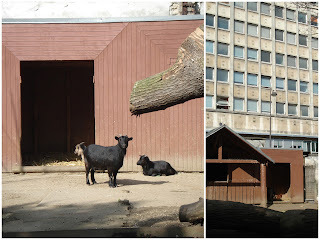 The goats were less decidedly exotic - but their backdrop provides a firm reminder that this zoo is smack in the city. 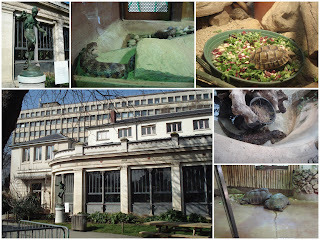 The reptile house has a few crocodilians and giant turtoises - T liked the small tortoise (or was it a turtle?) best, which was standing in its plate of salad. I, in turn, loved this guy. The giant cats were imposing as always (though the leopard did some sad zoo-animal-pacing), and the dromedary was aggressively trying to wean her calf (and inspired some sad camel-toe jokes from me). "But mommy, why the mommy camel not want her baby to drink his milk?" The kangaroos loved the sun, and various birds squawked around. Not pictured are the bats, which T really liked, and the maras, which are pretty cool little creatures. 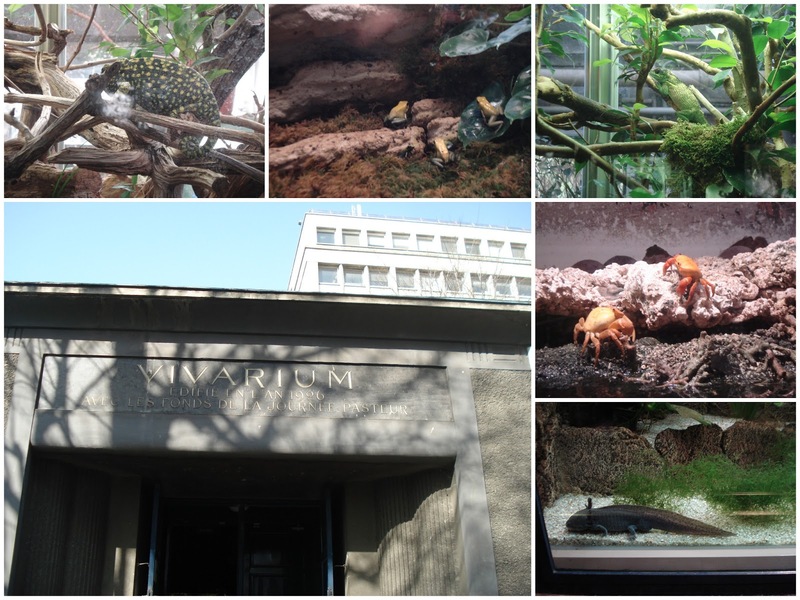 After about 3 hours, we'd pretty much seen it all and T had had enough - so though it's small (especially compared to the Berlin zoos), the menagerie is good in that you don't leave with the feeling that you missed something (viz. my family at the Berlin zoos at the end of a visit, when we're fighting to squeeze in our favorites). 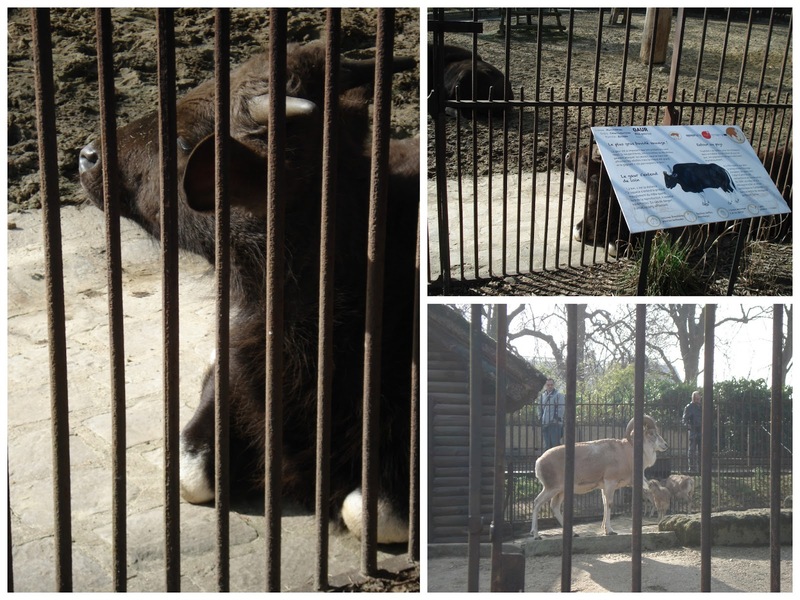 The animals all have a good amount of space, and it definitely isn't a "sad" zoo. We went pretty early in the day during school vacation; though it was fairly empty when we came, by the time we left (lunchish) there were long lines with daycamp kids at the gates. Unfortunately, the "meet the caretakers" activities don't take place until after around 2:30 pm (the official website has more details and daily schedules), so we missed those. We had lunch at a little stall just outside the gate (cheese crepe and gummy bear ice cream) which I do not recommend - H went back to Jussieu Metro station and got himself a much better-looking baguette with various fillings. We headed back to Austerlitz Metro through the Jardin des Plantes outside the zoo, stopping by T's favorite carousel in Paris - where we'd previously been on the way back from the dinosaur exhibit at the Grande gallerie de l'Evolution. All in all, I probably wouldn't have visited the zoo if I didn't have T, though I'm glad I saw it.